This is a professional level exam based on the principals taught in the Arista Programming Essentials (APE) class. The exam will test the candidate's knowledge of Arista automation using eAPI and Python. The Arista Programming Essentials class and the official Arista Documentation. Note that no single piece of source material may provide all the answers. 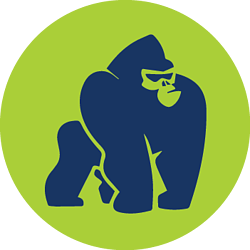 The APE exam draws heavily from the APE class material and if you took the class you were exposed to almost all of the study material for this exam! This is an Arista Networking professional-level exam, and the focus of this exam is Python programming and automating Arista switches using Python and eAPI. We do not ask about network design, networking hardware, or protocols. We might ask about configuring eAPI and enabling communication between automation scripts and switches. There may be some simple Linux shell command questions, but you are not expected to be a Linux administrator for this exam. The goal of this exam is to test the candidate's knowledge of Arista automation using eAPI and Python. The candidate is expected to know how to configure eAPI on Arista switches, how to extend the functionality of Arista's EOS, and how to code general Python scripts with a focus on understanding the Arista-specific Python and eAPI functionality. What are some Python data types commonly seen when automating Arista switches? In Python, what indicates the beginning and end of a block of code? How does PyeAPI differ from regular eAPI? What does it mean for EOS to be the "extensible" operating system?